In the name of Allah, Most Gracious, Most Merciful. Wash your hands and wrists three times. Take water with your right hand, put it into you mouth and rinse, three times repeatedly. 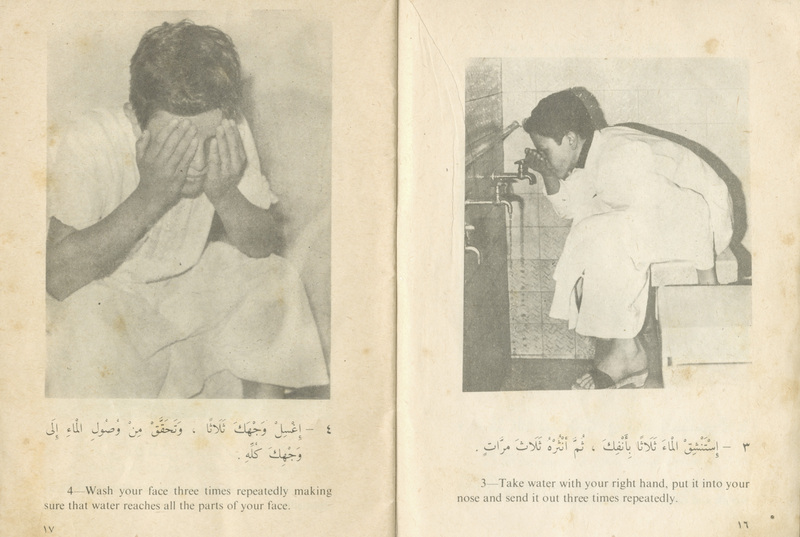 Take water with your right hand, put it into your nose and send it out three times repeatedly. Wash your face three times repeatedly making sure that water reaches all the parts of your face. 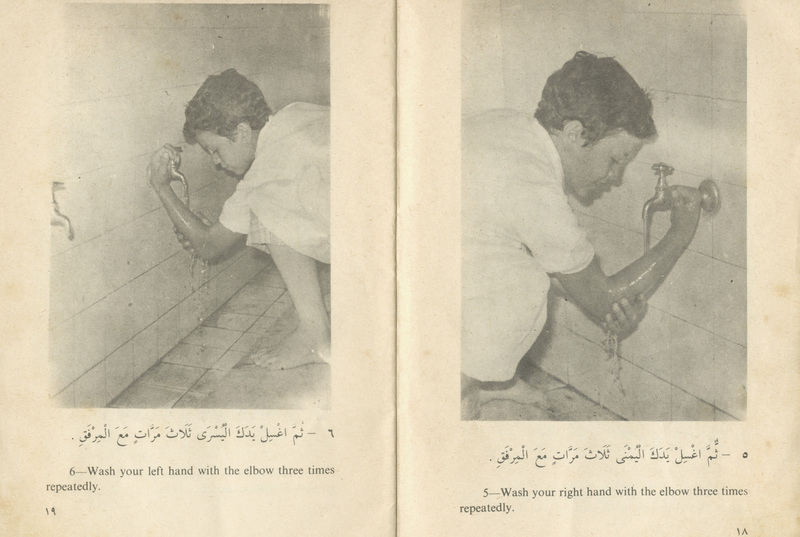 Wash your right hand with the elbow three times repeatedly. 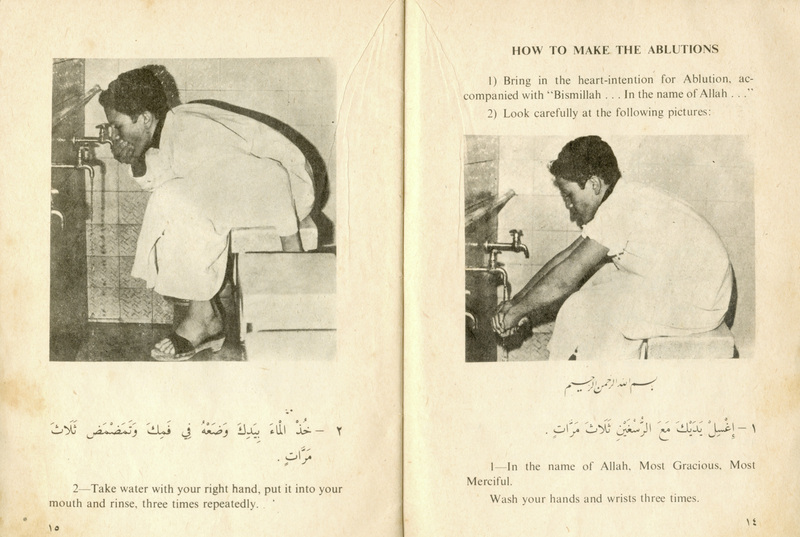 Wash your left hand with the elbow three times repeatedly. Take water with your hand and rub your head in a front-to-back motion. Rub your ears, inside and outside with thumbs and fore-fingers. Wash your right foot with the ankle three times repeatedly. Wash your left foot with the ankle three times repeatedly. 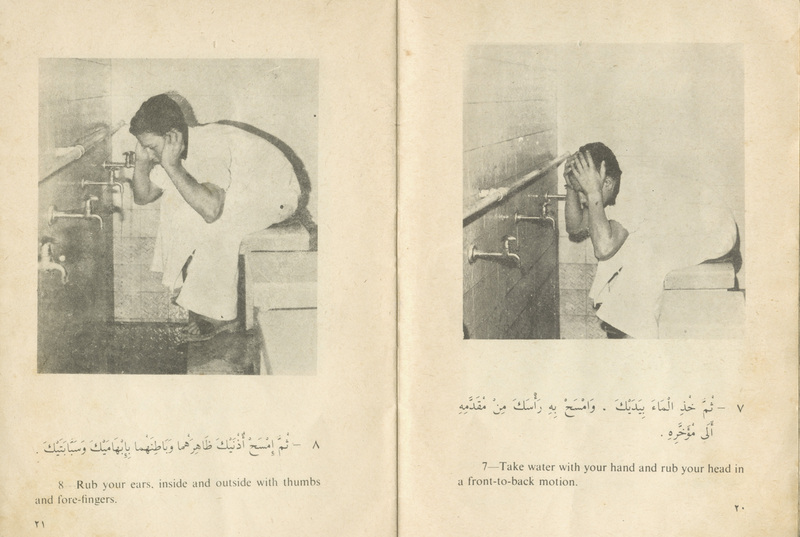 Thus finishing all stages of Ablution. 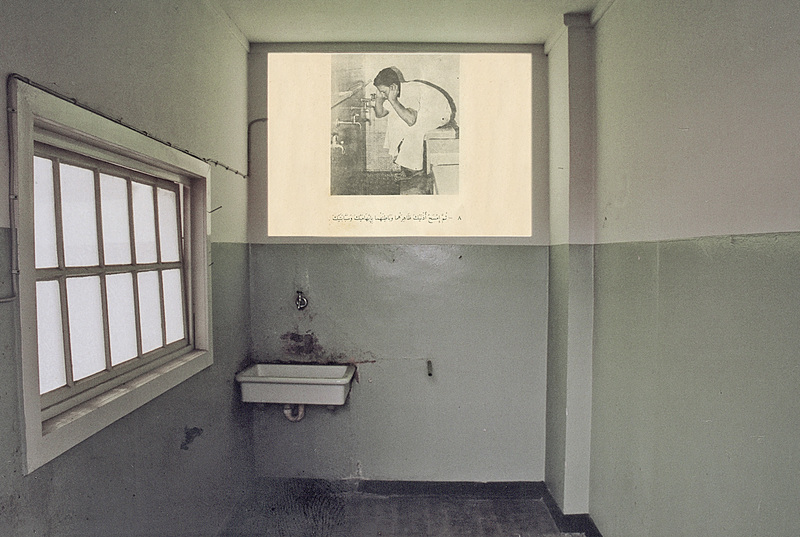 Ausgangspunkt meiner Arbeit war die Information, dass das Ausstellungsgebäude ehemals türkische Gastarbeiter beherbergte, die in der Emsdettener Stofffirma Schilgen tätig waren. Von meinem mehrmonatigen Marokkoaufenthalt in den 80iger Jahren, bei dem ich erstmaligen intensiven Kontakt mit dem Islam bekam, brachte ich ein Büchlein mit dem Titel „TEACHING PRAYERS" mit mir nach Deutschland. Es diente mir als Vorlage meiner Projektion mit bildlicher Unterweisung der Waschabfolge vor dem Gebet, untermalt durch eine Tonaufnahme fließenden Wassers.